In an 18-page lawsuit filed on Monday, Airbnb argued the law infringes on its first amendment rights of commercial speech. The popular home-sharing company Airbnb is suing San Francisco in order to block an upcoming change in law that could potentially put the online-based company, and other websites like it, on the hook for thousands of dollars in fines per day. Earlier this month, the San Francisco Board of Supervisors took steps to begin holding home-sharing companies, including Airbnb, accountable for any illegal short-term rentals they post on their websites. The change in law is scheduled to take effect in July and would require home-sharing websites to verify that listings are registered with the city before posting them online. Otherwise, companies could face government issued penalties of up to $1,000 per day. Beginning in February 2015, anyone wanting to rent out their San Francisco home for less than 30 days has been required to register with the city and remain the primary resident of that home. In May, however, the Investigative Unit found that thousands of short-term rental hosts across the city continue to break the law. 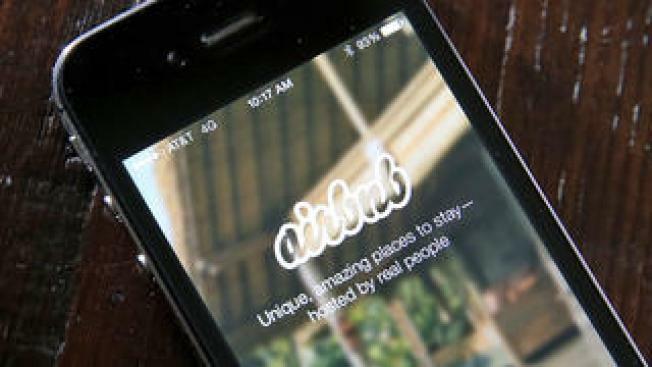 Airbnb has told the Investigative Unit it has cracked down on illegal posts, and recently launched a new feature on its site allowing neighbors to report problems directly to the company. Airbnb, however, has said implementing the city’s new requirements would be far too problematic. Critics of the law, including Airbnb, argue the city’s registration process for hosts remains far too complicated. Supporters of the measure, however, believe the added restrictions would help put more housing stock back on the market for full-time residents. A spokesperson for the city attorney’s office said San Francisco intends to defend the law in court, saying home-sharing companies need to be responsible for who they allow to use their online platform. “It's simply a duty to verify information that's already required of a regulated business activity,” said Matt Dorsey, Press Secretary for the City Attorney’s Office.” In the same way alcohol and cigarette vendors are required to verify the ages of their customers, Dorsey says home-sharing companies should be required to verify the information of their users.